How important is the perfect rug for your space? It’s like the icing on the cake! How difficult is it to find the perfect rug? Sometimes REALLY hard! There are a few factors that come in to play when choosing the right rug. Budget can be the number one reason we do or don’t purchase the perfect rug. The second factor is size. People tend to choose too small of rugs because they either can’t find the right size or the big option is too expensive. 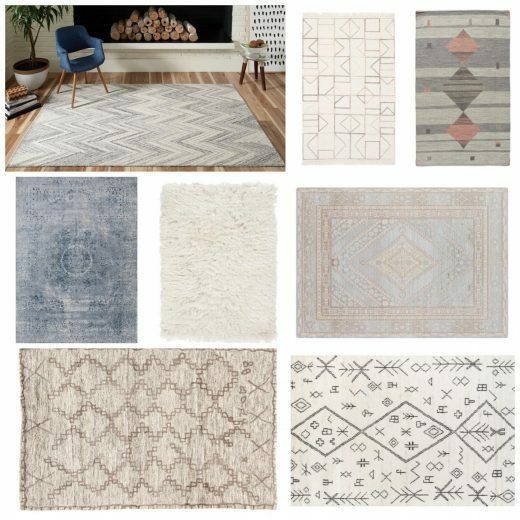 I found a new source for rugs that I think you are going to love! Wovenly offers a plethora of beautiful options that will not break your bank. I love adding neutral rugs with specific textures and patterns to my projects. I would use each and every one of these rugs that you see above. They each add a tasteful look that replicates high end rugs. I’ve listed each of my favorites below. Happy shopping!